There's also the top-spec ZenFone 3 Deluxe and the massive ZenFone 3 Ultra. Intel may have already quit the smartphone market, but its buddy ASUS continues to fight the good fight with a slightly different approach this year. 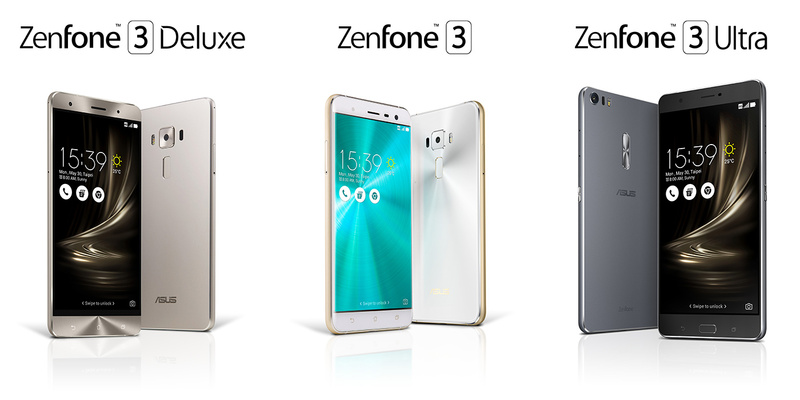 At Computex, the Taiwanese giant announced not just one, but three new Android M smartphones: ZenFone 3, ZenFone 3 Deluxe and ZenFone 3 Ultra. The three share a common design language, though in our opinion, it's the $249 base model that has the best appearance thanks to 2.5D Gorilla Glass on both sides, as well as the spun-metal finish on the back (underneath the glass). Together, these work well with any of the four color options: Shimmer Gold, Aqua Blue, Sapphire Black and Moonlight White. The sandblasted metallic frame around it adds a nice touch too. While the ZenFone 3 doesn't feature Qualcomm's top chipset, it's the first phone to officially pack the mid-range Snapdragon 625 chip, which is based on a 14nm process and has eight Cortex-A53 cores capped at 2GHz. As such, its 3,000 mAh battery should last quite some time. You also get Cat 6 LTE (300 Mbps downlink, 50 Mbps uplink), dual-SIM support (one Micro SIM and one Nano SIM), 802.11ac MU-MIMO WiFi, Bluetooth 4.2 and a mid-range Adreno 506 GPU as part of the package. The aforementioned $249 price gets you 3GB of RAM and 32GB of internal storage, and you can add more storage with a microSD card via the second SIM slot. Like its plastic predecessor, this model features a 5.5-inch 1080p IPS screen, though its speaker at the bottom has been upgraded with a loud "5-magnet" driver powered by an NXP smart amp, and it's Hi-Res Audio-certified for headphone output. 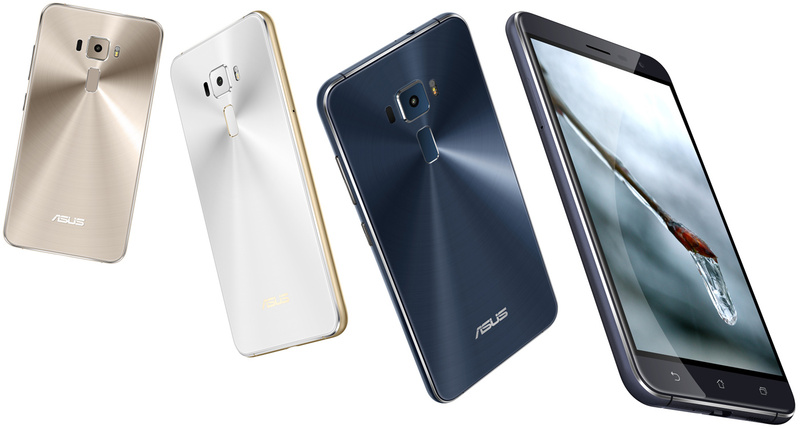 Next to the speaker you'll find a USB Type-C port -- a first for ASUS phones -- with USB 2.0 connectivity. 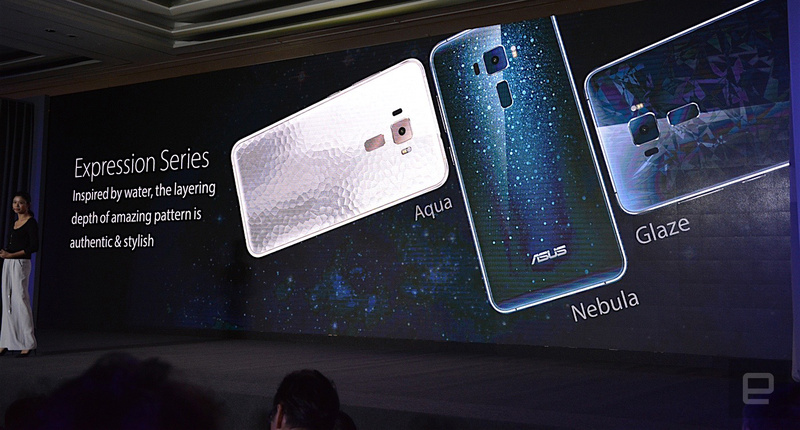 Another addition is the new fingerprint sensor on the back, where it doubles as the center of the spun-metal finish. The cameras play a big part on the ZenFone 3. The main one is now powered by Sony's 16-megapixel IMX298 sensor (as featured on the Xiaomi Mi 5, Huawei Mate 8, Vivo Xplay5 and Oppo R9 Plus) with f/2.0 aperture, second-gen laser autofocus, phase detection autofocus, color-correction RGB sensor, dual-tone LED flash, 4-axis optical stabilization for stills and 3-axis electronic stabilization for video. Alas, the trade-off here is that you'll have to make do with the camera bump. The same old low-light mode (which combines four pixels into one to boost sensitivity) and super resolution mode (which produces 64-megapixel shots) are here to stay, and you can do long exposure of up to 32 seconds or even play with the full manual mode. As for the front-facer, it's now an 8-megapixel camera with an 85-degree wide view, and the usual beautification features are there for you selfie addicts. 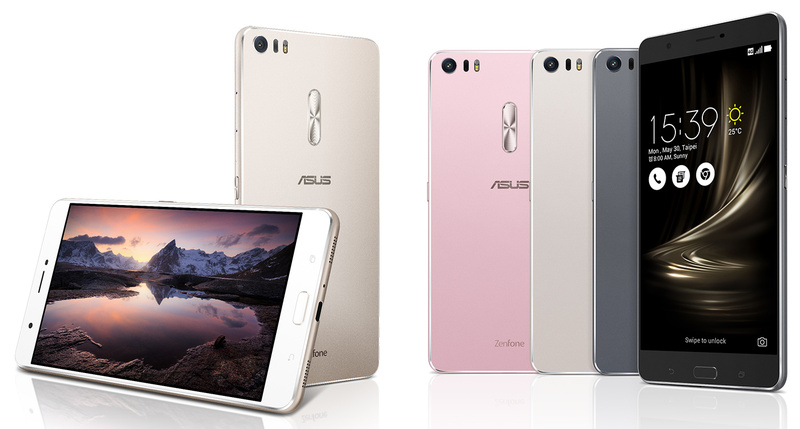 The fancier ZenFone 3 Deluxe looks similar to the base model, except it uses a subtly curved metal unibody instead of a glass back, and ASUS is somewhat proud of the fact that it's managed to hide most of the plastic antenna bands, leaving just a bit on the chamfer. For the sake of consistency, the spun-metal look is applied to the ear pillow and the chin instead of the back. It also uses a 5.7-inch 1080p Super AMOLED display instead, thus offering 100-percent NTSC color space, as well as enabling an always-on screen feature for some handy information. As you've probably guessed, the ZenFone 3 Deluxe is powered by a Snapdragon 820 so it also does Cat 13 LTE with tri-band carrier aggregation (150 Mbps uplink), USB 3.0 connectivity and Quick Charge 3.0. It also has a sharper camera; in fact, it's the first smartphone to use Sony's 23-megapixel IMX318 sensor, and apart from the added 4K video recording support plus the fact that the super resolution mode has been bumped up to 92 megapixels, the feature set is otherwise identical to that on the ZenFone 3. Starting at $499, you get 6GB of RAM plus 64GB of UFS 2.0 internal storage, and there'll be a 256GB variant arriving later. Last but not least, the big daddy that is the ZenFone 3 Ultra is a 6.8-inch phablet with a 1080p LCD (95-percent NTSC gamut), a PixelWorks iris2+ TV grade processor (for optimized 4K playback), two speakers at the bottom and DTS Headphone:X 7.1 surround sound (a world-first, apparently), so it's clearly made with multimedia entertainment in mind. As a bonus, there's a larger 4,600mAh battery that can act reverse charge other devices over a 1.5A current. To keep it relatively affordable ($479 with 4GB RAM and 64GB storage), though, the ZenFone 3 Ultra uses just an octa-core Snapdragon 652 (which is slightly more powerful than the ZenFone 3's chipset) so there's no USB 3.0 here, but you still get Cat 6 LTE, 802.11ac WiFi and Quick Charge 3.0. The cameras are also identical to those on the ZenFone 3 Deluxe, and the fingerprint reader is here to stay, though it's been moved from the back to below the screen. Not bad at all for this price point, so it's just a matter of whether you are fine with carrying such a beastly phone. We'll be keeping an eye out for release dates for all three models. Until then, stay tuned for hands-on impressions.